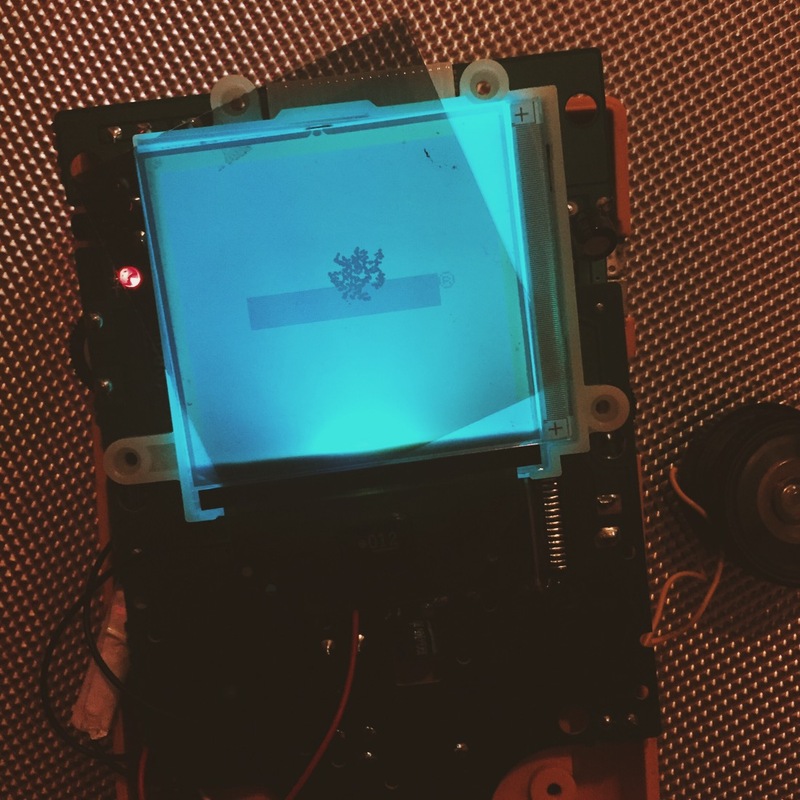 Inevitably, a big part of making chiptune music involves exploring what you can do with different hardware, and how you can get the most out of it. 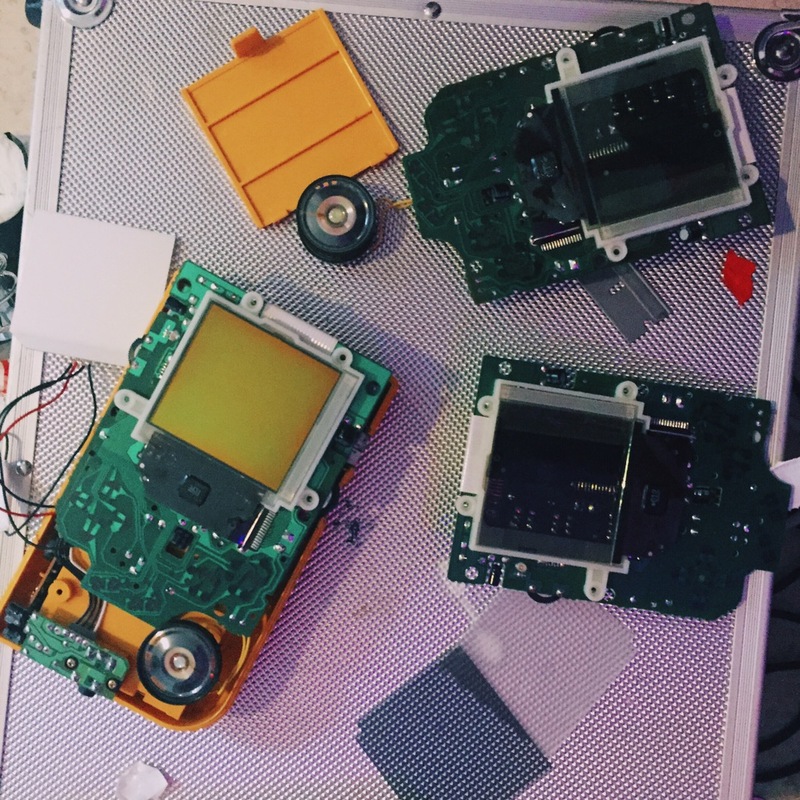 Whilst dragging out my gear again, I realised that I have a whole bunch of components kicking about from half-finished projects that I never quite got around to completing: Gameboy screens, shells, lights, switches, and other bits and pieces. 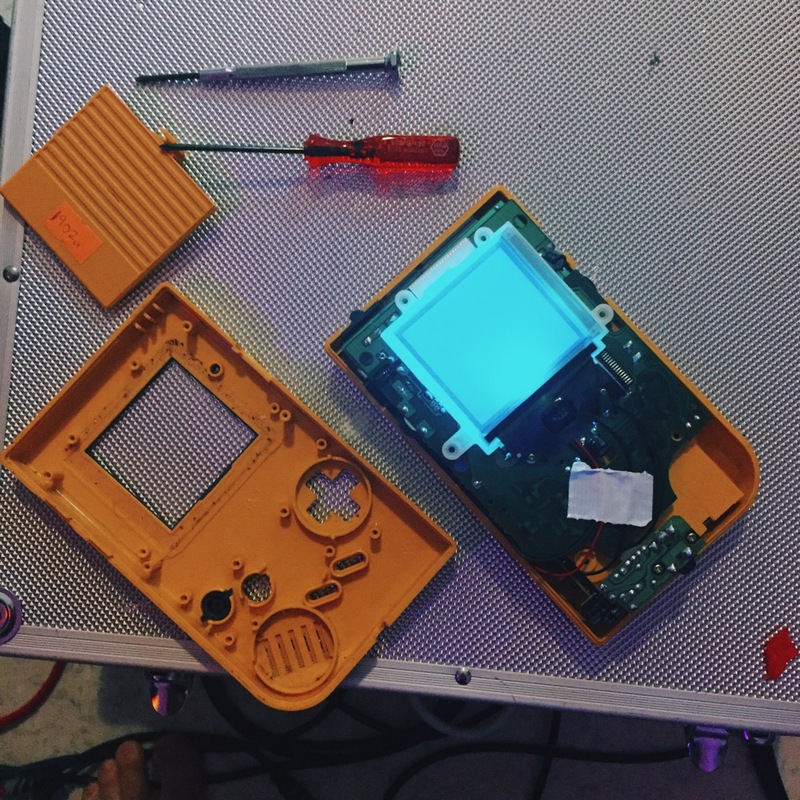 I want to modify my Gameboys so that they all have at least a backlight, and try out some other more interesting things like installing oscillators, so I thought I’d have a bash on one of the reliable bricks that I had lying about in pieces, and install a backlight in an otherwise unmodified yellow DMG. I battered through the first bit easily. The foil that you need to peel off the screen for the backlight to fit came off without any hassle or residue left behind, and I remember thinking how much simpler it was than the last time I did it. I should have known better though. Despite getting everything wired up fine, the screen wasn’t showing anything at all. Luckily, I have a pile of spare Gameboy guts to test things out on. After a bit of swapping about, I realised that it was the screen itself that was the problem. No big deal, though the other screen I had to hand with the foil removed had a damage mark right in the middle that meant it wouldn’t be of any use for the final product. I’d need to remove the foil from one of the others. I dug into one of the other spare innards, only to find that the screen was warped and wouldn’t work. Damnit. That left just the one spare without cannibalising another body. I prised the foil off with a razor blade and after about half an hour of scraping/soaking in contact cleaner, got the crusty adhesive residue off. 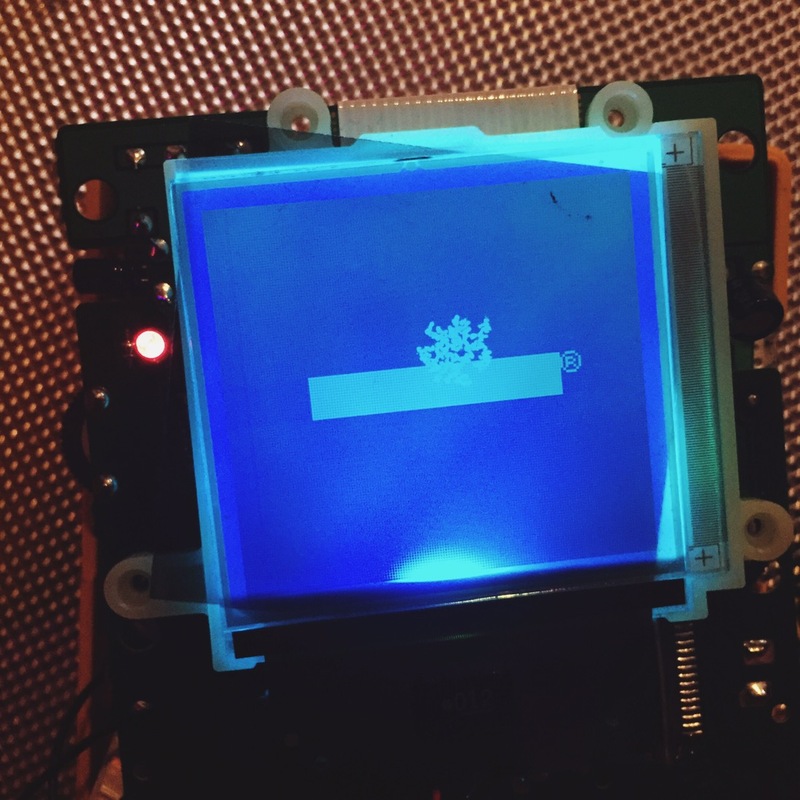 A working, old-school DMG with a lovely blue LED backlight so that it can be used anywhere. In the future I plan to add a hex inverter chip to make the screen more contrasty, as well as some other bits and pieces – but for now I’ll leave it in peace. 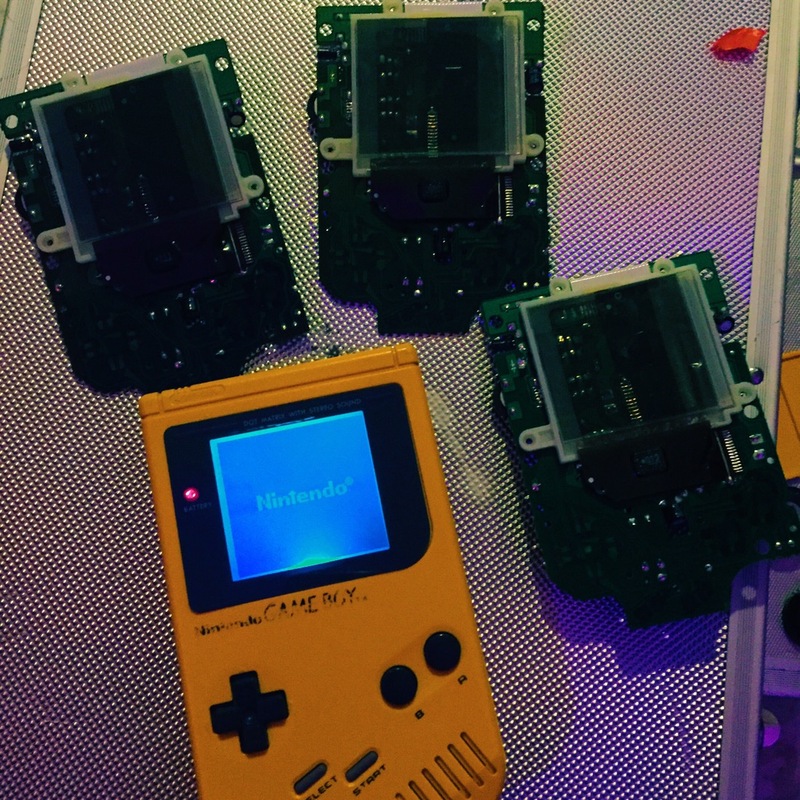 I knew absolutely nothing about physics or electronics before I took apart my first Gameboy, and I’m definitely not an expert, but there’s something pretty satisfying in putting together or modifying the hardware that you then make music on; squaring the circle or something like that. If I can work it out, then surely anybody can. All in all, it took longer than I expected, but also wasn’t as complex as I remember from back when I was learning the basics. I’m looking forward to seeing what I can pull off in future.